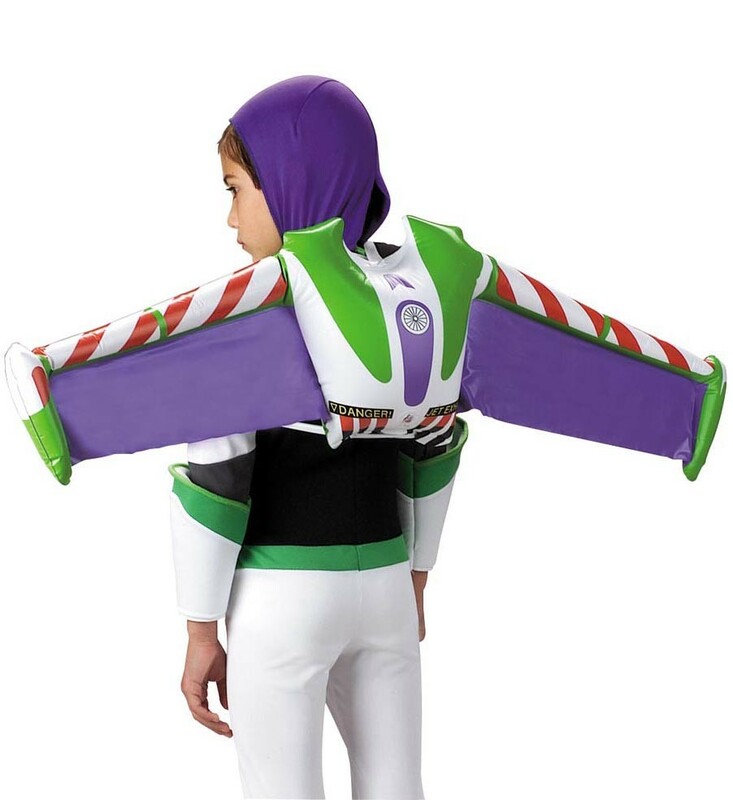 Complete your costume with this Buzz Lightyear Jet Pack! You kids will think they are truly like the space ranger himself! Item is made from Vinyl. Measures 108cm from wing tip to wing tip. I have one very happy 3 year old with this jet pack. Great product, fast delivery and fantastic customer service. I had an issue with the first jet pack I received which had a leak, with one email the staff shipping a replacement to me straight away and I received it next day!